The Book Chook: Literacy Lava 9, Out Now! Literacy Lava 9, Out Now! 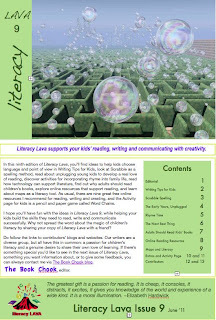 Literacy Lava 9 is now available for download as a free pdf at my website. 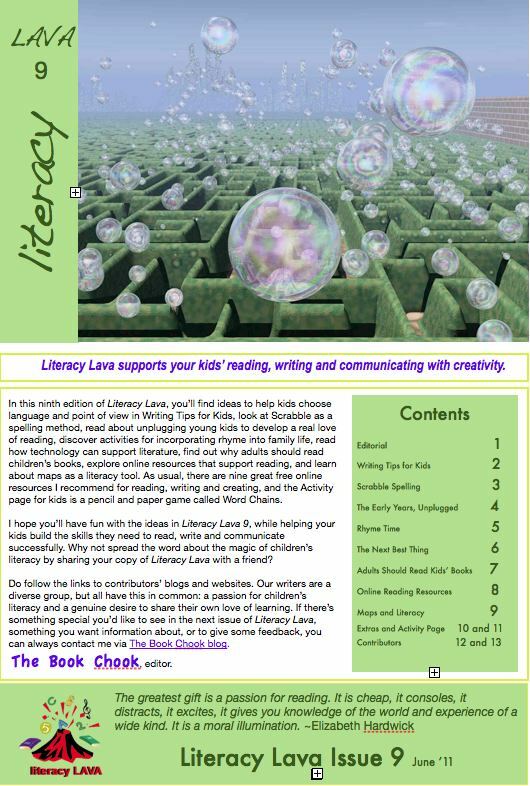 No need to signup - just visit my website and click on the cover there to download Literacy Lava 9. As usual, it's erupting with great ideas and tips for parents, teachers and literacy lovers everywhere. I told you a little about it earlier this week in Literacy Lava 9, Coming Soon. Please help us promote this free resource by spreading the word on Twitter, Facebook, StumbleUpon - or shouting from the rooftops!